foodpanda turns Rawalpindi & Faisalabad Pink! This Post has already been read 475 times. foodpanda, the on-demand international food delivery service, has headed up north and opened up a world of exciting flavours to residents in Rawalpindi and Faisalabad with its distinctive pink colour. And this Tuesday evening, people from restaurant industry, the media, food & lifestyle bloggers and top customers of foodpanda, all overjoyed, came together to celebrate foodpanda’s official launch in the city. Rawalpindians and Faisalabadis will now be able to order a variety of food from over 200 restaurant partners right to their homes, offices and even outdoor hotspots, increasing convenience for users and providing restaurant partners with a new avenue to reach customers. With the vision to deliver good food to people’s every day, Rawalpindi is the fourth and Faisalabad is the fifth major city to enjoy the renowned service standards offered by foodpanda, following Karachi, Lahore and Islamabad. Aiming to deliver the best food the city has to offer to their customers no matter the craving or price range, foodpanda knows that it is not merely about eating a meal but savouring that very first bite of food with great discounts. “We are very excited to expand our service to Rawalpindi and Faisalabad, and deliver good food right to our customers’ doorstep, especially with our enhanced app and website. 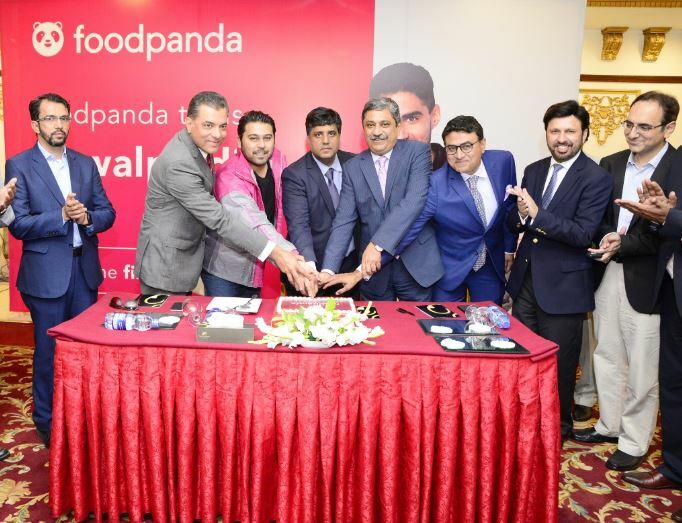 This is the perfect city for us to continue doing what we do best and we look forward to partnering with more restaurants on foodpanda,” said Nauman Sikandar Mirza, CEO, foodpanda Pakistan. foodpanda has over 200 specially curated restaurants that are available in Rawalpindi and 80 in Faisalabad, some of which include the international chains like KFC, Pizza Hut, Subway, McDonald’s, Domino’s, Burger King and also the local heroes including OPTP, The New Yorker Pizza, Tomatino Pizza Fiesta, Crunchies and many more. To place your first order, visit foodpanda.pk or download the new app on the App Store or Google Play now!